In rare cases, two strangers may become aquainted merely through the act of listening to a record album. 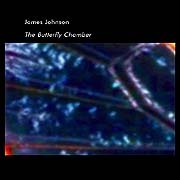 On The Butterfly Chamber, James Johnson offers to us freely the brilliant gleem of his intimate and universal sonic story. 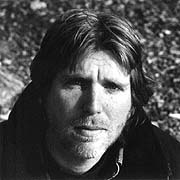 His musical devices create distance as well as common ground with Johnson here aimlessly wandering across the thin borders between Ambient, Quiet Music and New Age. Dreamy and languid, fragile and delicate, the airy pieces on The Butterfly Chamber seem likely to colapse inward were it not for the undertow of current gentley tugging them along. Johnson's key musical elements are his churning synthesizer textures, field recordings and nomadic piano playing style. The Butterfly Chamber benefits from the introduction of reverberant acoustic guitar on "The Citadel" and subtle violin meditations on "Hall of Radiance" and "Tepantitla". The mysteriously insinuating melodies waft gracefully into the listening space over peripheral variations in ambience. The accompanying harmonies and gorgeous, liquid phrasing of this album bring to mind the stillness in the murmmer of a warm night or the gentle transformation of twilight's diurnal mediation. The seven tracks are noticably shorter than on past releases and seem more focused, but still succeed in communicating the same dreamy images, at the same pace, in however less time. Unlike the ramblings and laboriousness of post-"Music for Airports" attempts, The Butterfly Chamber is not focused on the destination of the musical voyage nor the details of the trip, but on the simple idea of motility.